Every year Google makes updates to their algorithm, so hopefully, this is not coming as a surprise to you! 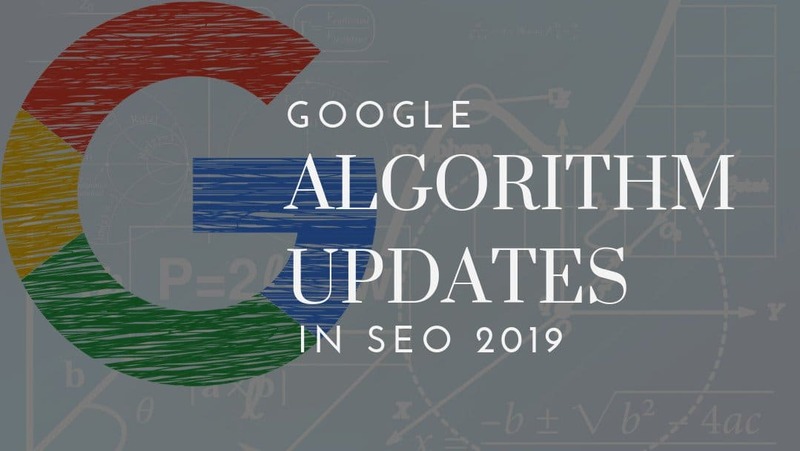 On average, Google makes 12 updates per year, which consequently is the number of updates done throughout 2018. However, I won’t go over all 12 in this blog. I’m going to share the 3 most impactful updates you need to act upon. You see…Google updates their algorithm to better serve you and me, in other words, their customer. They want to get rid of spammy sites, low-quality content, and misleading information. They don’t want to rank sites that have websites or blog posts with duplicated content. Google looks at over 200 ranking factors, but you don’t need to get overwhelmed by this. Google Focuses In Ranking Sites That Users Love. Sounds so obvious, I know! That’s why knowing your audience is extremely important to curate content that will speak to them and help you with the metrics Google is using as ranking factors. Google Ranking Factor #1: Video! 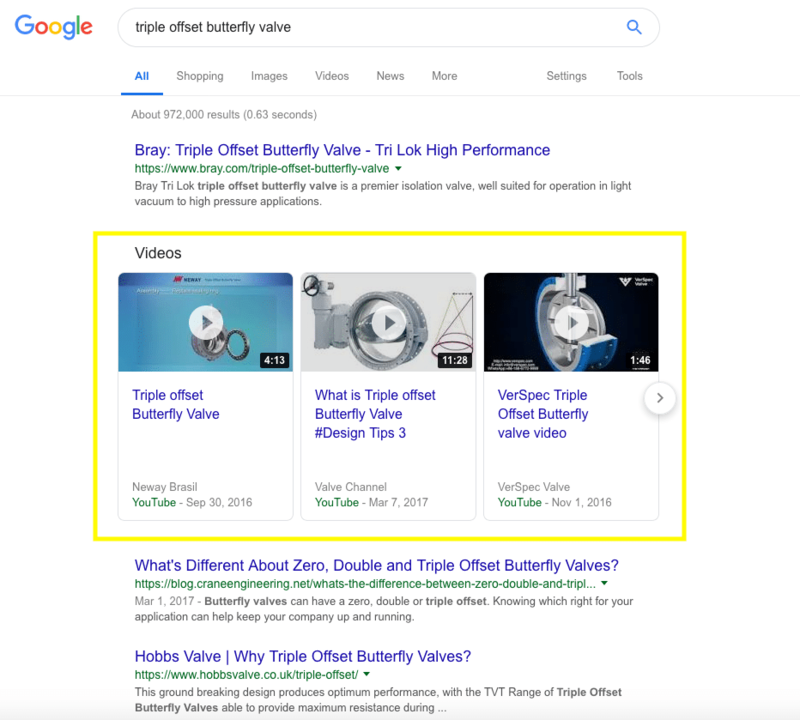 You have probably noticed that Google search results are showcasing videos more and more! Since June 6th, 2018 Google has been replacing the video thumbnails in desktop search with video carousels instead of links. That’s the reason behind the change, but I know what you are thinking. As a business owner trying to increase online leads and sales through your website, you know the importance of ranking high on Google search results. So, if you haven’t been creating videos for your company, then you are missing out BIG TIME! Adding videos to your website can dramatically increase your rankings and show your company on the first page of google. Especially for all those B2B companies out there! You see, most B2B companies (like industrial manufacturers, engineering firms, architects, etc.) don’t make videos because they don’t see the need to make videos since your industry is not necessary searching for “DIY” or “How-To” videos. Okay, you can pick up your jaw from the floor. As you can see, these companies are in great advantage by simply having a video talking about their product. If this is something new in your industry, then it will be a significant advantage over your competitors. Speed has always been important to Google. Until July 2018, Google was only using desktop page speed as a ranking factor. Now, page speed will be a ranking factor for mobile searches. Think about it, you want to find answers to your questions as fast as possible. The speed update will only affect your SEO results if your average speed is lower than average, regardless of the technology used to build your website. However, since for Google it is extremely important to show results that are the best match for the search keyword, if your page is a bit slow it will still show up in the results. This means that even though page speed is a ranking factor for Google, Content is still king. Google cares so much about the overall user experience that they even offer a free tool to identify issues that are slowing down your website and gives you recommendations on how to fix it. Check their free PageSpeed Insights tool. Security has been a top priority for quite some time for Google. We [Google] have been running tests taking into account whether sites use secure, encrypted connections as a signal in our search ranking algorithms. We’ve seen positive results, so we’re starting to use HTTPS as a ranking signal. Google wants to keep all of their users safe, and it will show secure websites first. We talk more about the importance of having a secure website and how it affects your ranking in our blog about the importance of security for your website. How Do You Know If A Website Is Secure? How Do YOU Maintain Your Website Secure? Keeping your website secure is not a one-time deal, you need to maintain it. Now I would love to hear from you! Which SEO strategy will you try first? Will you start making videos? Will you improve the speed of your website? Will you secure your site? Either way, leave us a comment below, and we’ll be sure to reply!